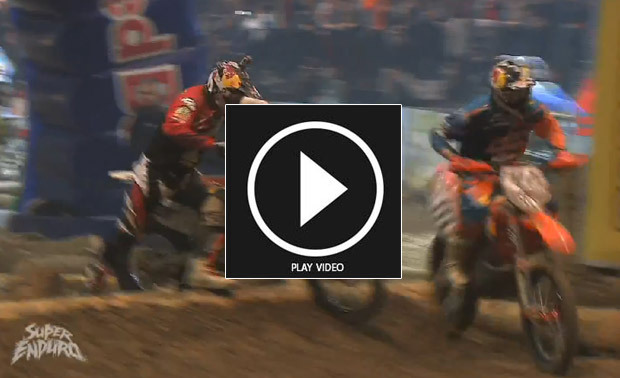 TADDY BLAZUSIAK TAKES FOURTH WORLD SUPERENDURO TITLE! Red Bull KTM’s Taddy Blazusiak again underlined his supremacy in Indoor Enduro racing when he secured his fourth SuperEnduro World Championship title in the final round at Tours, France. The Polish rider went into the competition with a 29-point lead and took the championship title after the second of three heats in the Parc des Expositions. The program started well for Taddy Blazusiak and he grabbed the holeshot in his qualification and charged to an early lead with David Knight on his tailpipe. Then with three laps to go Blazusiak stumbled in the rock garden section and Knight slipped past to claim the win. 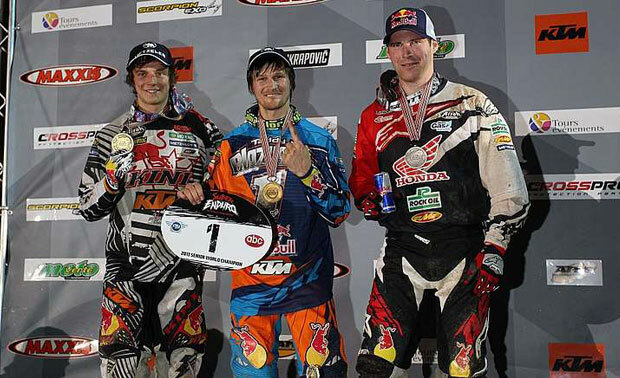 KTM teammate Jonny Walker was third to set up a faceoff in the three heats of the final in the evening program. Blazusiak was on top of his game in heat one taking the win from Knight and Walker, moving closer to again reclaiming the SuperEnduro crown and putting on a great show for the attending crowd. He then went on to seal his fourth consecutive title in the second of three heats. A crash in the final stage of the third heat cost him the win, but he went on to finish third having already secured the title. UK factory rider Jonny Walker qualified in third place behind Blazusiak and Knight. He then took the holeshot in his first race and led for four laps before arm pump caused him to ease off the gas. He finished in third place. In race two Walker was in fourth place after the first corners but was distracted for a couple of laps with a problem with his front fork guard. His race was full of incidents and he crashed several times, finally finishing back in seventh place. He got away quite well in the third heat and was quickly in third behind Blazusiak and Knight. These three riders broke away from the pack and after Blazusiak’s crash, it was Knight who took the win ahead of Walker and Taddy, enough points for Walker to finish third overall in the championship. 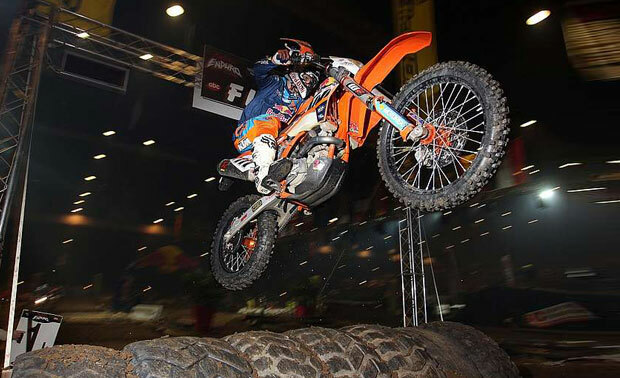 The growing popularity of FIM SuperEnduro, which brings the thrill and skill of Enduro into the arena and makes it an accessible and attractive sport for spectators has led to an increased seven round program in late 2013 and 2014. Stops on the tour are also planned in Mexico and Brazil. Round Six, to be announced, is expected to be in Barcelona, Spain.